← Giant Monsters Attack Palm Springs! Halloween is the best time of the year to be a classic film fan. 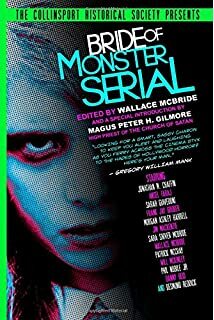 And it’s even better if you live (or are un-dead) in New York City, where more than sixty screenings of horror and suspense films released before 2001 will unspool between now and Sunday – some in historic venues and many in 35mm (a medium that’s rising from the grave, thanks in part to the revival circuit). If you prefer your spooks silent, THE PHANTOM OF THE OPERA (1925) screens Sunday evening in an actual 1930 movie palace – the former Loews 175th Street Theater in Washington Heights – accompanied by Ben Model with an introduction by New York Post film critic Lou Lumenick and a live performance by cast members of the Broadway musical version. There’s also a rare 35mm presentation of Tod Browning’s THE UNKNOWN (1927) on Halloween night at the Brooklyn Academy of Music, featuring an armless Lon Chaney and Steve Sterner at the piano (fully armed). And there are four(!) opportunities to see F.W. Murnau’s NOSFERATU (1922) on Friday night alone, including two in a 100-year-old cathedral with pipe organ accompaniment. The Film Society of Lincoln Center scores twice this week, first with a brief Hitchcock retrospective featuring FRENZY (1972) and the rarely screened I CONFESS (1953) in 35mm, then with the ninth installment of their Scary Movies series. The latter is mostly contemporary fright films, but includes Terence Fisher’s THE GORGON (1964) in 35mm and a Halloween Day screening of FRANKENSTEIN (1931) with free admission and complimentary popcorn (my favorite flavor). If you like enjoy booze with your boos, Williamsburg Brooklyn’s stylish bar/cinema Videology has a number of treats, including Friday night’s retrospective of witchcraft in cinema hosted by Alex Mar, author of the new book Witches of America (which she’ll be signing after the show). The venue will also transform into the Winchester Tavern on Halloween day with Edgar Wright’s SHAUN OF THE DEAD (2004) on a continuous loop. Guests are invited to bring “shovels and cricket bats,” so things may get interesting as the night wears on. Williamsburg’s “cinema eatery” Nitehawk is money in the (blood) bank again this year with their annual Halloween at Nitehawk series, which includes NIGHT OF THE LIVING DEAD (1968) on Wednesday and Friday with a live score by Morricone Youth. 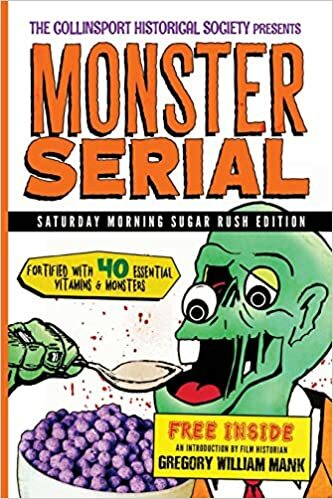 There are also a number of brunch and midnight screenings on Friday, Saturday and Sunday, but tickets are going fast (and the delicious, five-film NIGHT TO DISMEMBER marathon on Saturday is already sold out). The Museum of the Moving Image in Queens, located on the site of Paramount’s former Astoria Studios complex (where the Marx Bros. shot their first two films), devotes Halloween weekend to director David Cronenberg, with a seven-film series including THE FLY (1986) and four other films in sparkling new 35mm prints. If you like your gore mixed with good old fashioned film grain, Astoria is the place to be this weekend. Finally, even if you’re not in NYC, you can get macabre at the multiplex with two national screenings from Fathom Events. 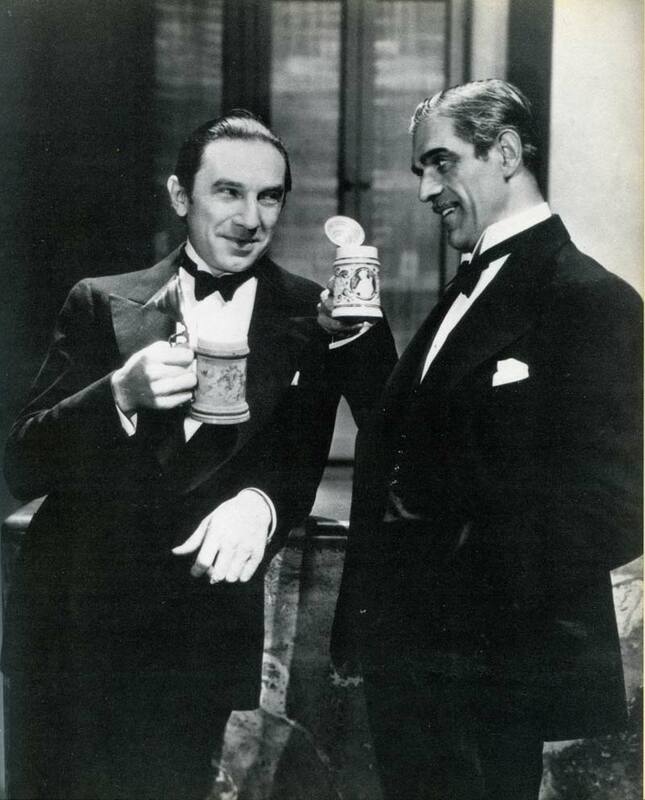 Tod Browning’s DRACULA (1931) with Bela Lugosi screens twice on Wednesday in a double feature with the simultaneously shot Spanish version (featuring Carlos Villar as the Count). And John Carpenter’s HALLOWEEN (1978) slashes through cinemas for one night only on Thursday. Both play in NYC at Regal Union Square. 2:30 PM – ALICE (1988). 35mm at the Library for the Performing Arts. 7:30 + 10 PM – MIL KDU DES 30-minute re-edit of THE BLAIR WITCH PROJECT (1999) by Rarer Borealis at Spectacle Theater (Brooklyn). 9:30 PM – I CONFESS (1953). 35mm at the Film Society of Lincoln Center’s Francesca Beale Theater. You’d likely never normally consider Lewis Carroll’s famous farce an entry into the horror genre. Well you tell Jan Svankmajer that one, and good luck! In the hands of the master surrealist animator, the trip down the rabbit hole is as unsettling as David Lynch’s worst hangover. Plus ALICE screens for free in 35mm at the Library for the Performing Arts’ excellent theater. 2 PM + 7 PM – DRACULA (1931). Via Satellite in theaters nationwide from TCM + Fathom Events. 6:30 PM – SABOTEUR (1942). DCP at the Film Society of Lincoln Center’s Francesca Beale Theater. 8:45 PM – FRENZY (1972). 35mm at the Film Society of Lincoln Center’s Francesca Beale Theater. 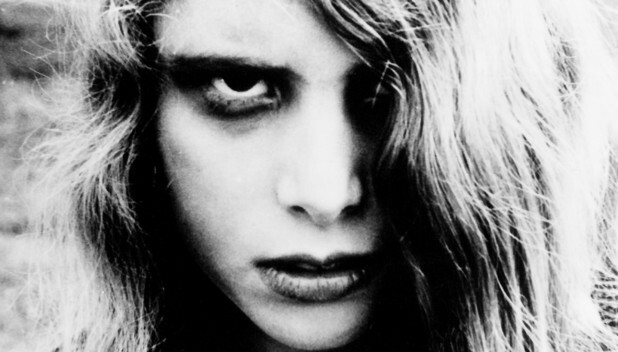 The grandaddy of the zombie genre never gets old, and this screening of NIGHT OF THE LIVING DEAD at Nitehawk comes with music from master film accompanist combo Morricone Youth. Plus, the best root beer ‘n tater tot combo to be had in the five boroughs, and we all know how this film can famously raise an audience’s appetite. 7:30 PM – HALLOWEEN (1978). Via Satellite in theaters nationwide from Fathom Events. 8 PM – SCREAM (1996) w/ Halloween Costume Party. Throne Watches Showroom (Brooklyn). 9PM – ARMY OF DARKNESS (1992) presented by Den of Geek at Videology (Brooklyn). 12 AM – THE ROCKY HORROR PICTURE SHOW (1975) at Bow Tie Chelsea. 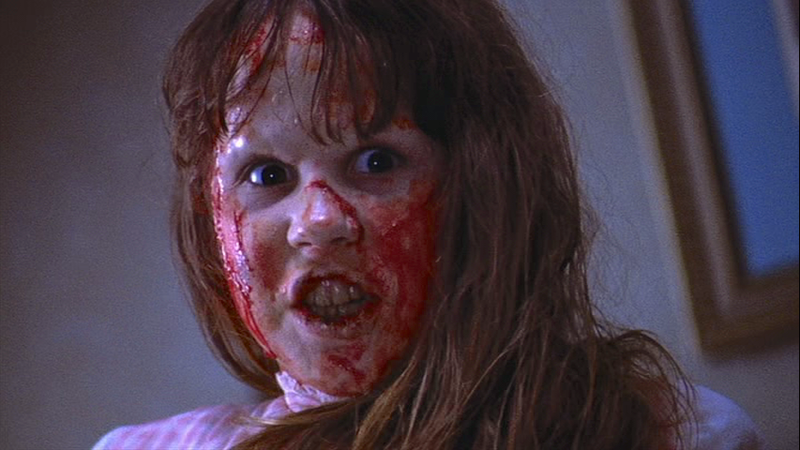 In my opinion, William Friedkin’s THE EXORCIST is still the scariest friggin’ movie ever made. The Bow Tie Chelsea doesn’t screen in 35mm, but they do take their programming seriously, and that pea soup will be a sickening color in any format. This I promise. 1:30 PM – THE GHOST GOES WEST (1935) at MoMA. 2:45 PM/9:30 PM – DIAL M FOR MURDER (1954). 3-D DCP at Film Forum. 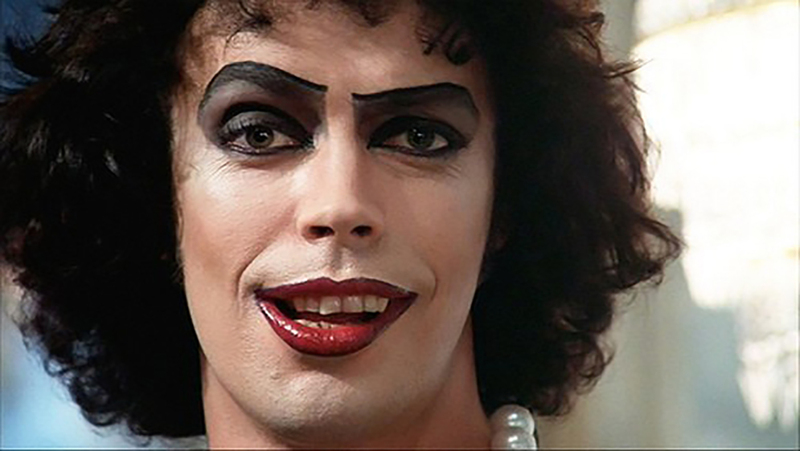 6 PM – THE ROCKY HORROR PICTURE SHOW (1975) at McCarren Park (Brooklyn). 7 PM – SCANNERS (1981). New 35mm print at Museum of Moving Image (Queens). 7 PM – NOSFERATU (1922) accompanied by Ben Model. Blu-ray at Morgan Library and Museum. 7 PM + 10 PM – NOSFERATU (1922) accompanied by Timothy Brumfield at Cathedral Church of St. John the Divine (Upper Manhattan). 7 PM – Witches of America (An evening of witchy movie clips curated by author Alex Mar) at Videology. 7:30 PM – PASSAGE aka PASAZ (1997) at Spectacle Theater. 9 PM – NOSFERATU (1922) accompanied by Tenth Intervention (Hajnal Pivnick, violin/Dorian Wallace, piano) at Videology. 9:30 PM – NIGHT OF THE LIVING DEAD (1968) at Rubin Museum. 10 PM – WOLF’S CHALET aka ALCI BOUDA (1987) at Spectacle. 11:45 PM – MULHOLLAND DRIVE (2001). DCP at IFC Center. 12 AM – A NIGHTMARE ON ELM STREET (1984) at Landmark Sunshine Cinema. 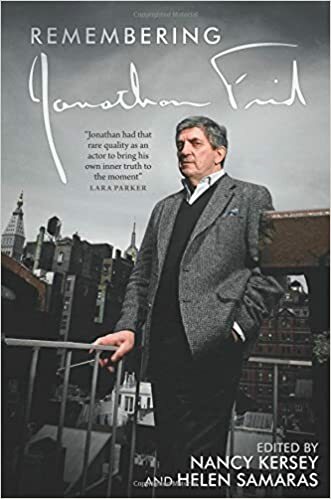 12 AM – TROUBLE EVERY DAY (2001) at Spectacle. 12:05 AM – GHOSTBUSTERS (1984). DCP at IFC Center. 12:20 AM – THEY LIVE (1988). DCP at IFC Center. I’m going for two-count-’em-two horror icons today: Tim Curry’s insanely influential sweet transvestite from Transylvania and Robert Englund’s wisecracking, Ginsu-digited Freddy Krueger. This means ya have to borough hop, which in itself is a scary enough proposition for some. But the PICTURE SHOW screens free at McCarren Park in Brooklyn at dusk, which leaves plenty of time to warp to the Landmark Sunshine back on our spookier side of the East River for NIGHTMARE ON ELM STREET. Plus you can bet the over/under on how many Dr. Frank-N-Furters you can spot on the night before Halloween. I’m going with 35 1/2. Takers? 11:45 AM – DAY OF THE DEAD (1985). Digital at Nitehawk Cinema. 11:50 AM – GHOSTBUSTERS (1984). DCP at Nitehawk Cinema. 12:30 PM/4:50 PM – DIAL M FOR MURDER (1954). 3-D DCP at Film Forum. 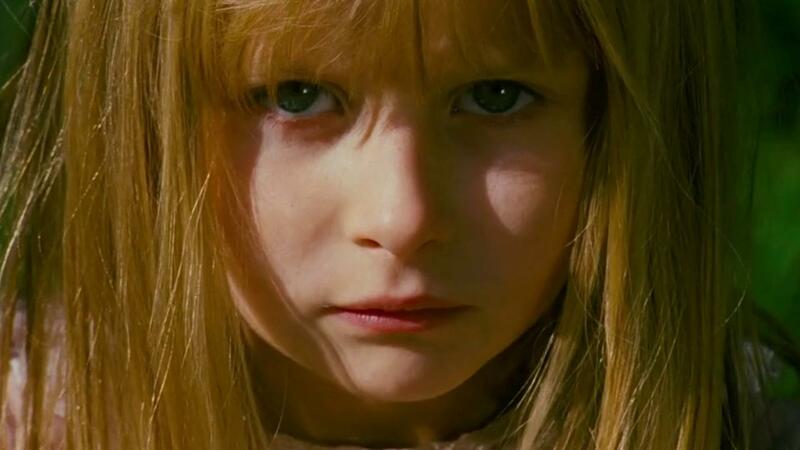 2 PM – THE BROOD (1979) New 35mm print at Museum of Moving Image. 4:30 PM – VIDEODROME (1983) New 35mm print at Museum of Moving Image. 7 PM – THE UNKNOWN (1927) accompanied by Steve Sterner. 35mm at Brooklyn Academy of Music’s BAM Rose Cinema. 7PM – RABID (1977). New 35mm print at Museum of Moving Image. 9 PM – Spectacle Halloween 2015 at Spectacle Theater. 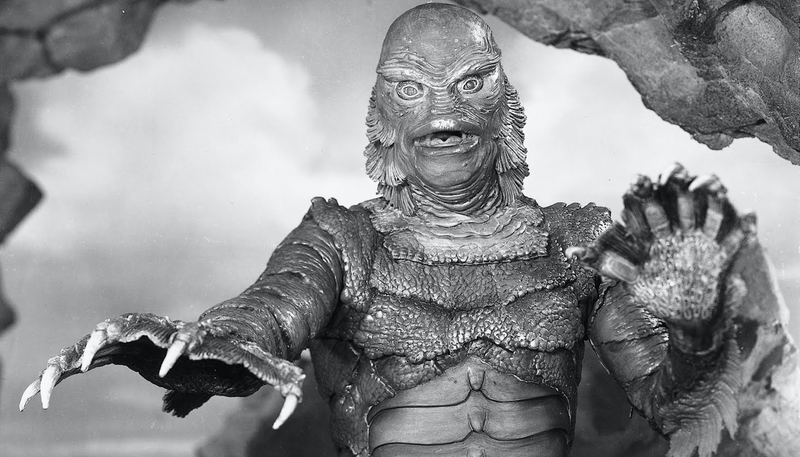 9:30 PM – CREATURE FROM THE BLACK LAGOON (1954) + SPOOKS (1953) w/ the Three Stooges. 3-D DCP at Film Forum. The David Cronenberg series kicks off at 2pm at the Museum of the Moving Image, and the $12 admission gains you entrance to all three fright-fests. You’ll have just enough time to shake off what will surely be a major case of the willies to head over to the Film Forum for some quality time with everyone’s fave CREATURE FROM THE BLACK LAGOON, who will literally swim off the screen and into your hearts! Finally, end the night at IFC Center with THEY LIVE , John Carpenter’s last great movie. It’s a good way to honor the recently passed Roddy Piper in his only iconic film role. And you’ll be really scared because the film’s actually happening right now! Chew on that bubblegum! 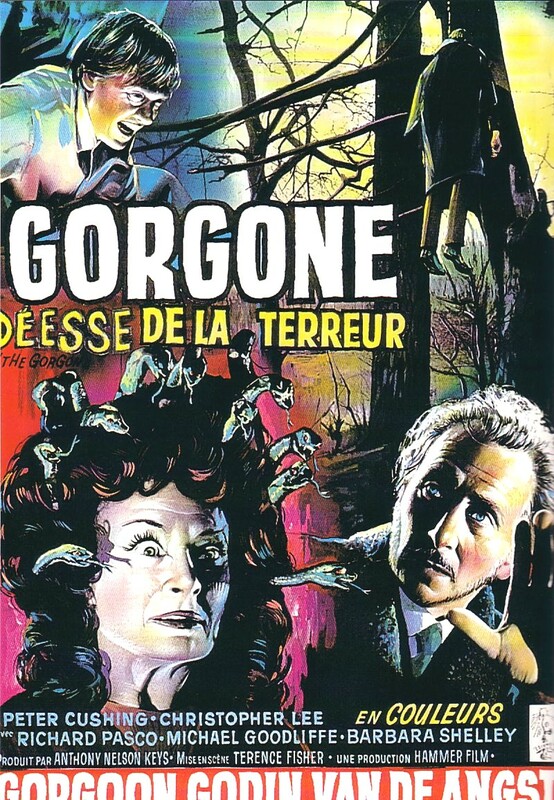 1 PM – THE GORGON (1964) 35mm at the Film Society of Lincoln Center’s Walter Reade Theater. 3 PM – SLUGS (1988). Digital at the Film Society of Lincoln Center’s Walter Reade Theater. 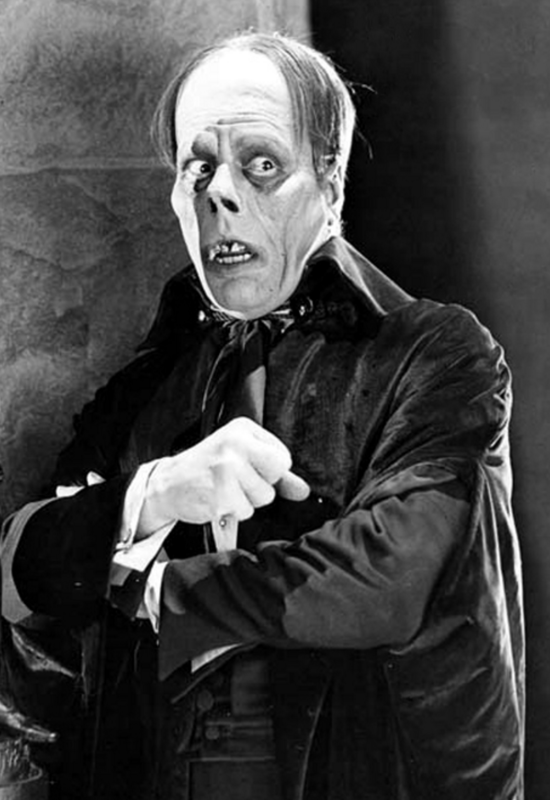 4 PM – THE PHANTOM OF THE OPERA (1925), Blu-ray at the United Palace of Cultural Arts (formerly Loews 175th Street Theater) accompanied by Ben Model, introduced by NY Post film critic Lou Lumenick, w/ performance by cast members from the Broadway show. 5 PM – PIECES (1982) 35mm at the Film Society of Lincoln Center’s Walter Reade Theater. 6:30 PM – DEAD RINGERS (1988). New 35mm print at Museum of Moving Image. 7 PM – DIAL M FOR MURDER (1954). 3-D DCP at Film Forum. 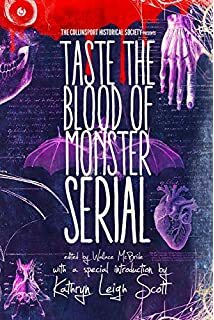 Closing out this Ghoultide season at the movies we stay at Film Forum for two more demonic dimension-breakers: Vincent Price’s mad mannequin-maker in HOUSE OF WAX and Big Al’s favorite divorce story, DIAL M FOR MURDER. Both unspool in their original 3D format, and both deliver the chills and thrills masterfully. Happy Halloween from Cinematically Insane and Nitrate Stock! This entry was posted in Classic Film, Film Society of Lincoln Society, IFC Center, Museum of Modern Art, Museum of the Moving Image, Nitehawk Cinema, Screening Report, Silent Film. Bookmark the permalink. You lucky New Yorkers! We’ll just have the DRACULA double feature here in Huntsville, but it’s better than nothing. Hope you get to see some of these, Will! Dear God, I wish I lived in NYC. 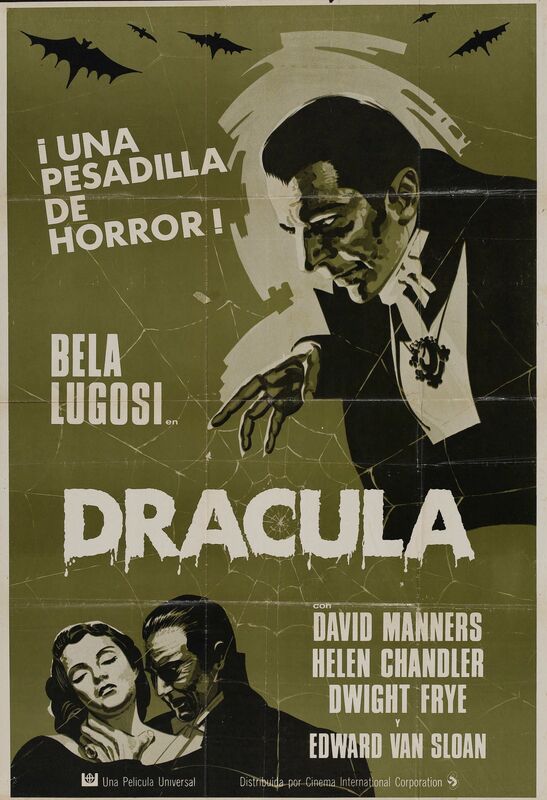 Actually, anywhere in the US so that I could catch the Dracula double bill on the big screen.